Google owned Motorola Mobility has announced its first Intel powered Android smartphone. 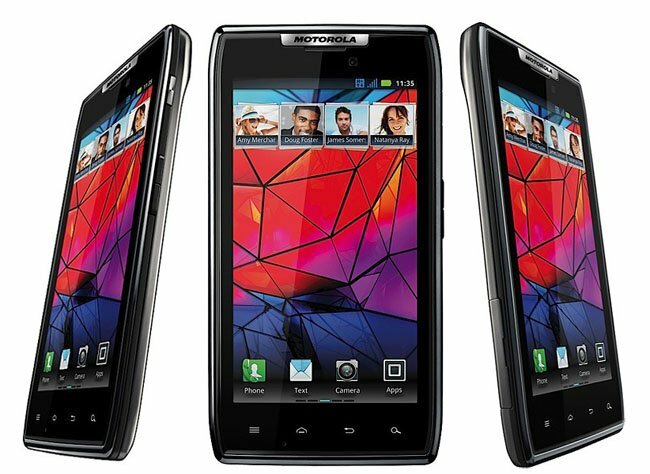 Unveiled at an event in London attended by The INQUIRER this morning, the Motorola Razr I features a 2GHz single-core Intel Atom processor. The Motorola RAZR i is a 4.3 inch smartphone with a 2GHz Intel Atom processor inside. This processor also helps deliver excellent battery life, Motorola claims, saying that the 2,000mAh battery will last for around 20 hours of average to heavy use. The Intel CPU is clocked at up 2GHz which makes it the highest clocked processor available in a smartphone. Motorola claims delivers a 15 percent larger screen than the Iphone 5 in a similarly sized package. This large Super AMOLED touchscreen boasts a 540x960 HD resolution and should remain free from scratches, regards to its Gorilla Glass coating.On the outside there's also Kevlar for lightweight protection against tumbles and scratches. Other specifications include Android 4.0 Ice Cream Sandwich with an update to Android 4.1 Jelly Bean on its way, Motorola's custom user interface (UI), an 8MP camera that fires in less than one second, HD 1080p video and integrated NFC technology. The RAZR i has what Motorola calls edge-to-edge display. Meaning that the 4.3 inch HD display will cover most of the width of the phone. With only 60.9 mm in width, we found that the Motorola RAZR i has the smallest width of all 4.3 inch smartphones. There is no information about any IP Code so the phone has probably passed any of the tests, but the RAZR i has a splash-guard coating which will protect it against some humidity. The black version of the handset should be available starting October in the UK, France, Germany, and Latin America (Brazil, Argentina, Mexico). A white version will be released in select markets later. Motorola didn’t say how much the Razr i would cost. 0 Respones to "Motorola Razr i smartphone"